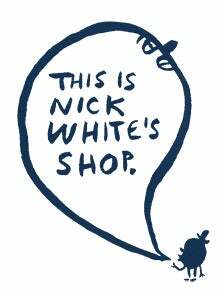 Launched at Elcaf 2014, this zine collates more Nick White nonsense. Drawings, collages, patterns, found text, lists of Potential album titles, a collection of questions we've all asked ourselves and a toby jug that prefers the name Beverley, all feature in this here publication. 24 page A5 Zine Printed in Black & White with 6 Full Colour Sides. *Or when Nick finally pulls his finger out and finishes it.